A delicious classic flavour combo! A BLT Sandwich – Bacon, Lettuce, and Tomato. 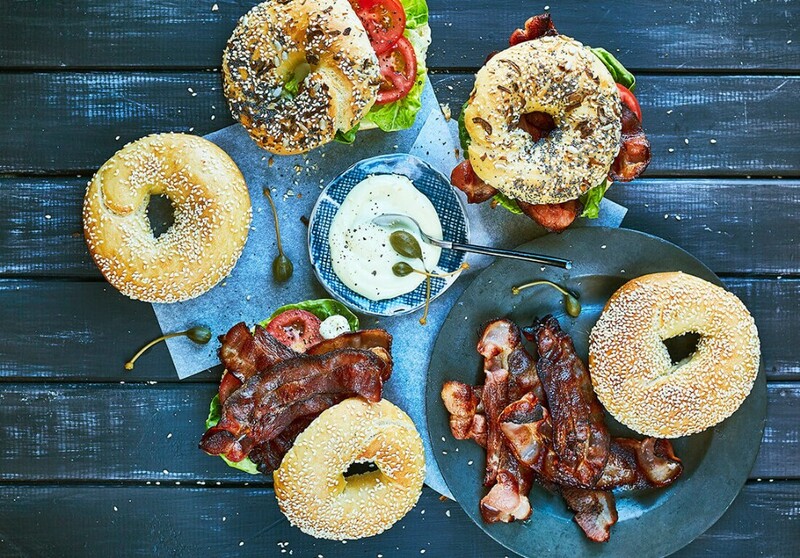 Serve these tasty bagels for lunch at the office or lazy weekend brunches. You can use any Woody’s™ bacon packs, but we think the Streaky bacon is best as it gives that added crunch which makes this combo pop! Fry Woody’s™ Streaky Bacon under a hot grill for 6-10 minutes or until desired crispiness. Cut the bagels in half and spread both sides of the bagel with mayonnaise. Layer one side of the bagel with lettuce leaves, top with slices of tomatoes and season with salt and pepper. Add 2-3 crispy bacon strips and sandwich the bagel together with the top half. Follow the procedure for the rest of the bagels. Serve the BLT Sandwiches immediately.